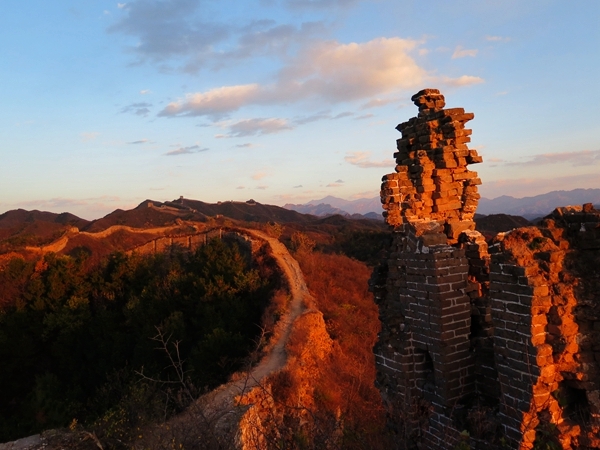 Hike 8km over Beijing’s oldest Great Wall to reach the Gubeikou General Tower by sunset. 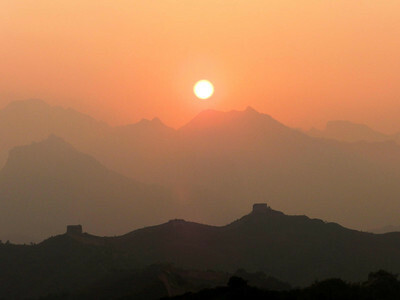 With views over the Gubeikou, Jinshanling and Simatai Great Wall sunset pictures can’t get any better. 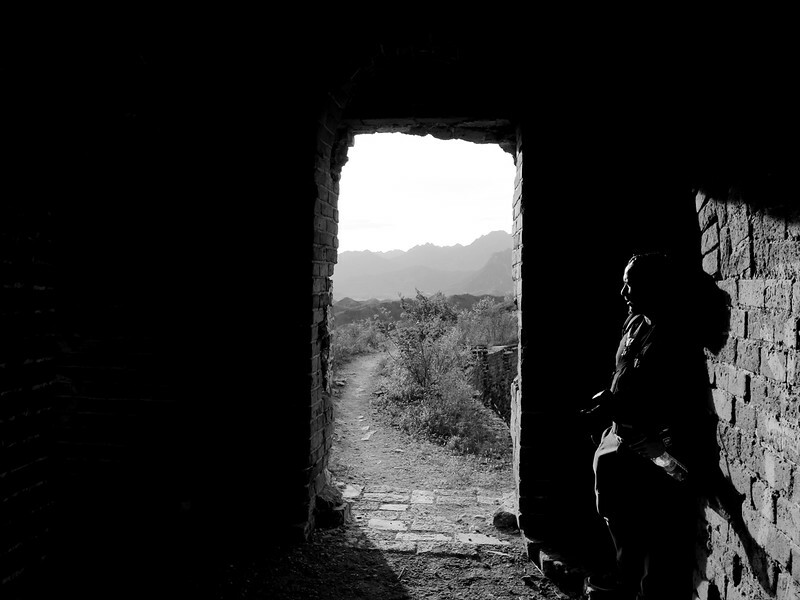 A 2 hour drive brings us to a farmhouse in a small folk village on the border of Beijing and Hebei province. Our local farmer friends will serve us tasty lunch on their terrace with view on the Great Wall. 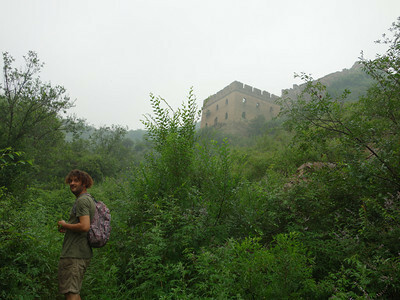 Just behind the farmhouse starts a little trail up the hill and within 15 minutes we arrive at the Gubeikou Great Wall. 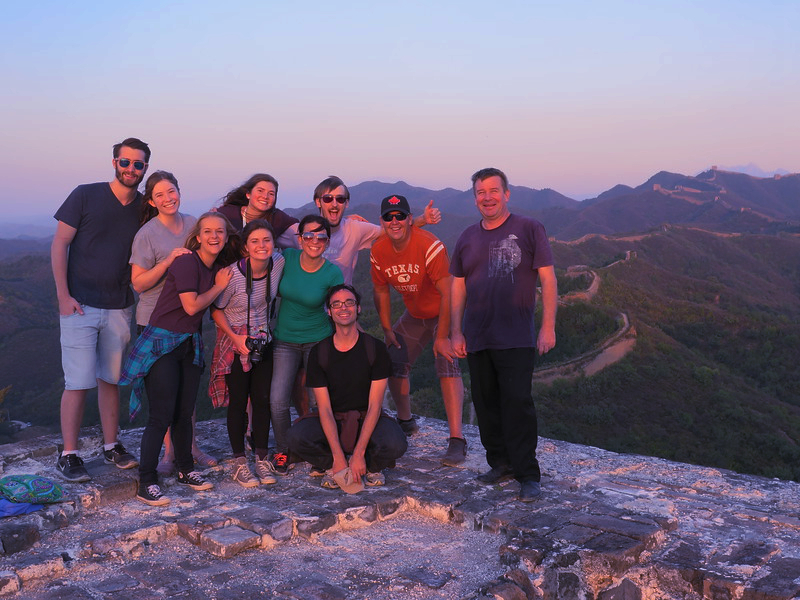 During the following 6 km hike on top of the Great Wall we take some breaks in the shade of some of the numerous watch towers or climb on top of the Beacon Towers when excellent photo opportunities arise. 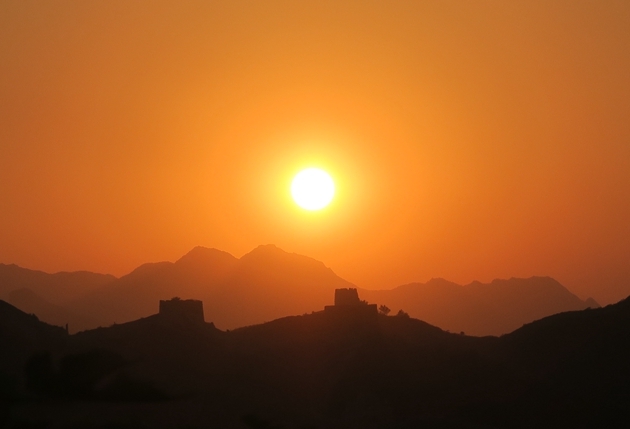 Our hike on the Great Wall ends by sunset on top of the Gubeikou’s the General Tower. 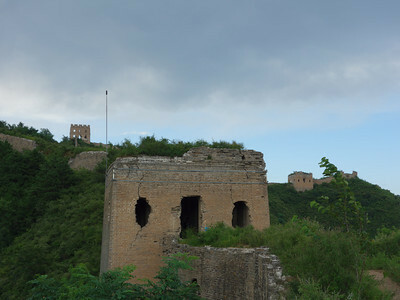 This 2 story tower is the highest point in the area overlooking the Gubeikou Great Wall, the Jinshanling Great Wall and if the weather is good you can see all the way till the Jinshanling Great Wall. 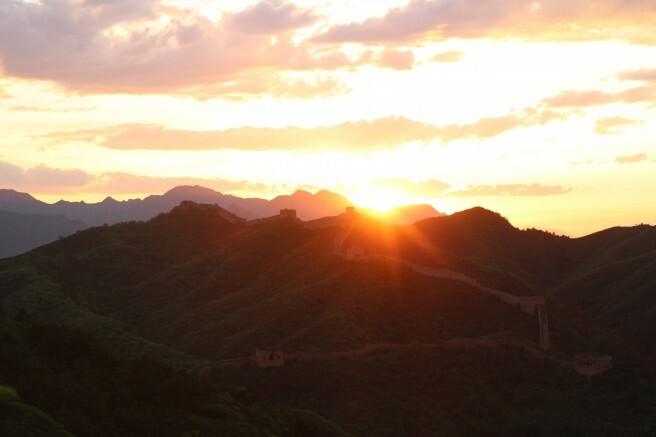 Time for your perfect Great Wall sunset picture. 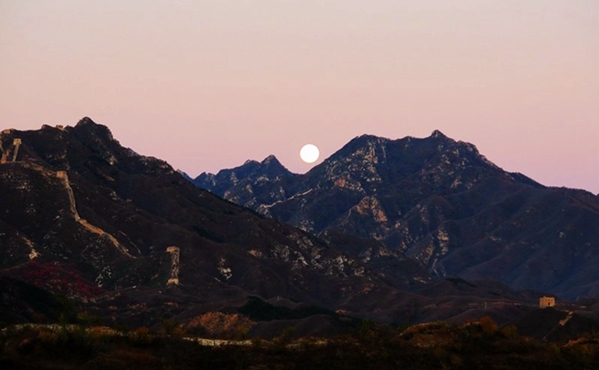 Once the sun is gone behind the hills we leave the Great Wall and take a tiny hidden trail through the brush and into the valley till we reach a small road where our driver will be waiting to bring us back to Beijing. 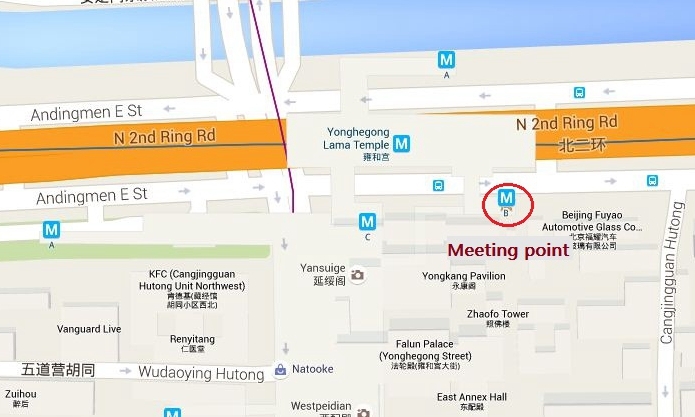 Around 9 pm we will be back in Beijing at our meeting point. 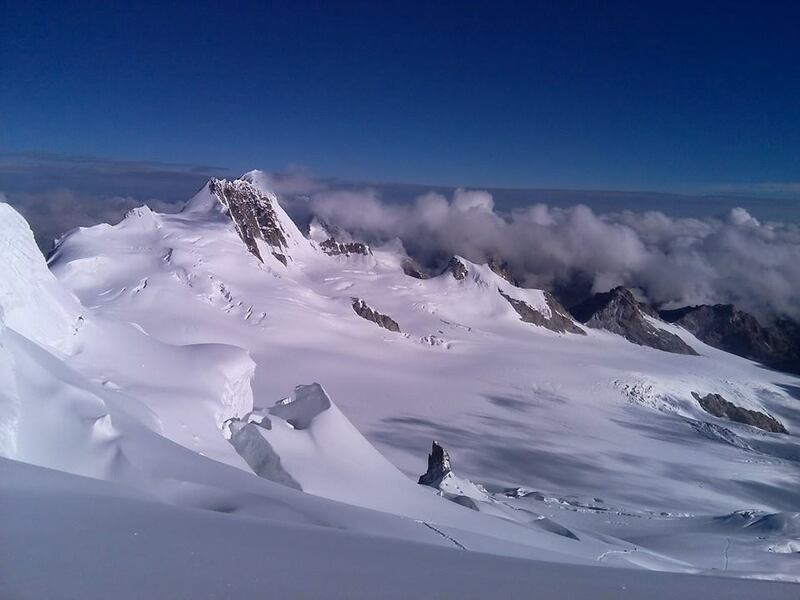 We rate this trip level 2 as it is a 1day hike on a fairly easy trail. There is one uphill hike of about half an hour to start with. The rest of the trail is just slightly going up and down. It’s a perfect trip for families with kids and people with an average physical condition will enjoy the trip as well. It is a safe trail but there are a few slippery spots so its good to wear shoes with a good grip. Gubeikou Great wall hike June. Gubeikou Great wall hike July. 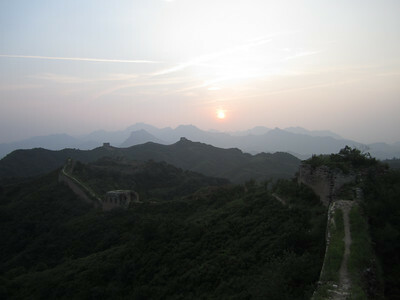 Gubeikou Great wall hike Aug.
Juste parfait! Très bon guide, choix du lieu excellent. 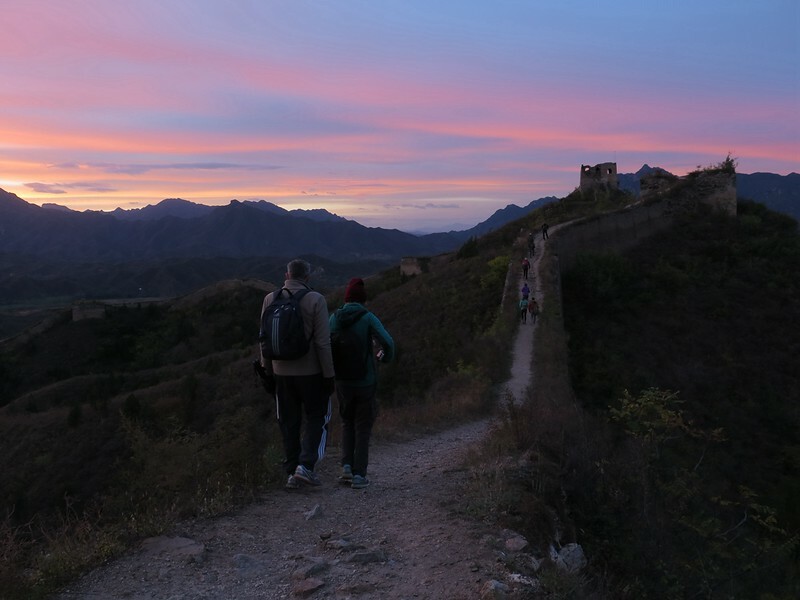 After careful review of the many options for hiking the Great Wall my wife and I chose to go a little further away from Beijing with a very well-reviewed group called China Hiking. Run by Belgian Fred and his Chinese wife Heidi this organization impressed us with their lack of promotion (or forced shopping) and devotion to a simple, authentic Great Wall Hike. 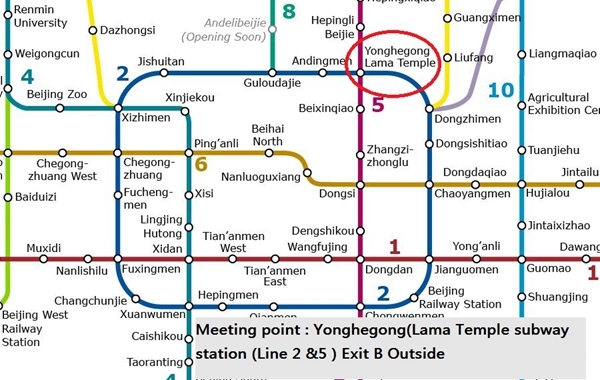 We met at the Lama Temple and drove almost 2 1/2 hours to a small farmhouse where we had a great lunch. The group of 11 was really congenial and included an interesting mix of young and middle-aged people from the UK, Denmark, Canada, and southern China. The walk itself was less challenging than I expected, except for a difficult ascent at the beginning. We walked for about 4 hours but that included several breaks, and the pace was quite easy. Our guide Fred was incredibly personable, very knowledgeable, willing to answer all sorts of questions about life in China as well as about the Great Wall. He's been doing this tour for many years and his experience shows, yet he manages to stay fresh and engaged. The comfortable mini-bus met us at the end of the trail for the ride back to the subway by the Lama Temple. It was easy to make our way back to our hotel on the subway. All in all, a great outing. I highly recommend China Hiking. 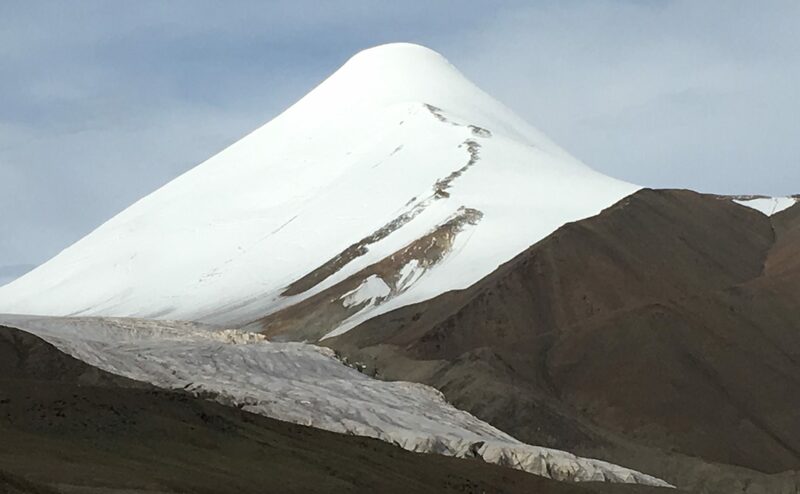 For the more adventurous, they also offer overnight trips and camping trips for several days to inner Mongolia and elsewhere. 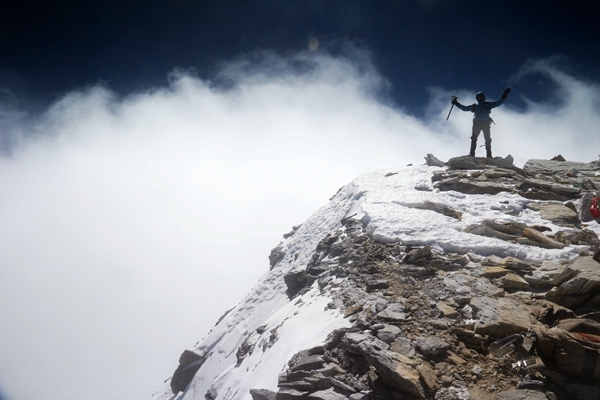 It was a memorable experience hiking with ChinaHiking. 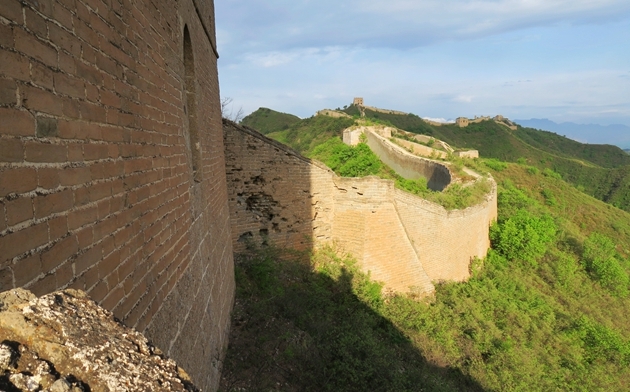 Fred and Chloe were extremely knowledgeable about the history of Great Wall. The hike was great as there were breaks in between to take hundreds of photos and they accommodated to all of our different fitness levels. Lunch at a farmhouse with all organic food, water and ice-cream were provided. The lunch was one of the best home-cooked meals I've had in China. Thank you sooo much!!! This firm has reasonably knowledgeable guides and the tour was well organised. There were 14 in the group plus the guide, the driver and a junior fellow who brought up the rear of the walkers. We left from the pick-up stop right on 11:30 and traveled by mini-bus just over 2 hours (with a stop at shops) to a farm house which is at the bottom of this part of the wall. The meal involved multiple dishes with a large portion of vegetable plates and was very filling. The walk was probably around 3 on the scale. 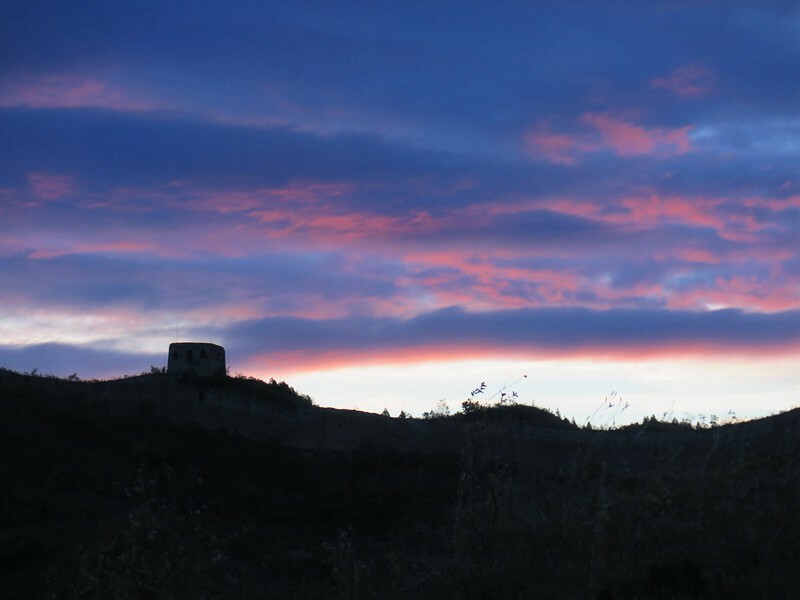 We went on the day before the summer solstice which meant we viewed the sundown at around 19:00-19:40 and then walled down the side of the mountain onto flat ground and walked to the mini-bus - took about 35 minutes (we were a quick bunch of walkers). We arrived back at the pick-up point around 23:00 and then waited for a taxi to take us back to central hotel - add another 35 minutes. Definitely can recommend the company. Thanks guys for such a memorable event. 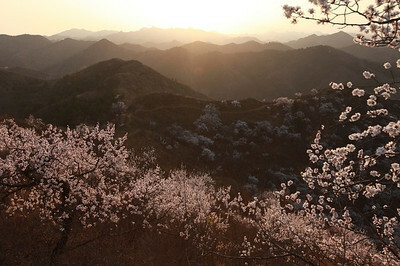 We did a trip to Gubeikou with Fred from China hiking. We are a family of four (with kids aged 13 and 11). Travelling from Ireland with its cool summers we were concerned about the 36 degrees heat along the wall. 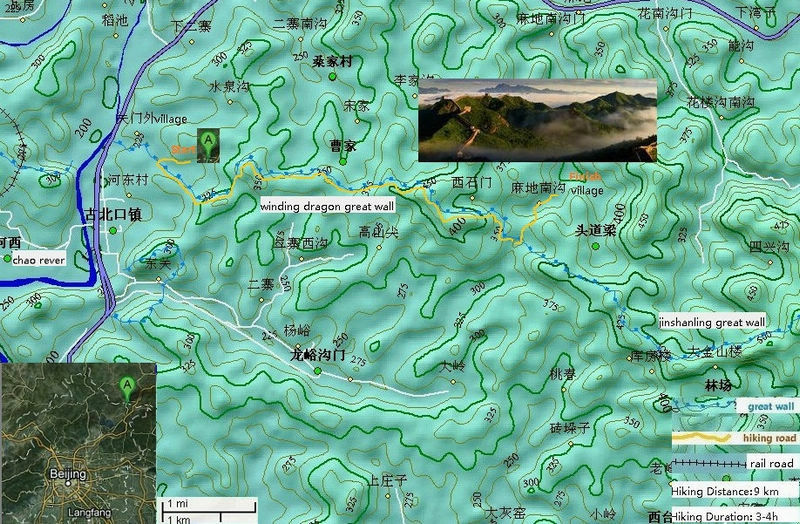 When we contacted China Hiking prior to our trip Fred recommended the Gubeikou hike. We covered about 8 kms over the course of the day but the pace was leisurely so we didn’t have any problems with the heat. We loved every minute of the trip with Fred’s enthusiasm for the wall infectious right from the start. I’d really recommend this as being the best way to visit the wall. The views were amazing and we were able to see the wall and its towers laid out for miles over the hills. We only met a handful of people over the course of the day. This was the highlight of our whole trip to China. My only regret is that we didn’t do one of the overnight trips. 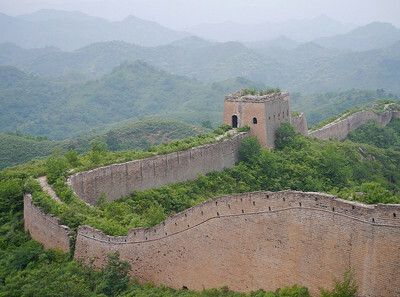 I’d definitely recommend a hike along the great wall with China Hiking.